The Asia Research Institute of NUS invites applications from citizens of Asian countries enrolled for a fulltime advanced degree at a university in an Asian country (except Singapore) for consideration for the award of Asian Graduate Student Fellowships. These fellowships are offered to current graduate students doing their Master’s or PhD degrees and working in the Humanities and Social Sciences on Southeast Asian topics, and will allow the recipients to be based at NUS for an ‘in residence fellowship’ for a period of two and a half (2 ½) months. The aim of the fellowship is to enable scholars to make full use of the wide range of resources held in the libraries of NUS and the Institute of Southeast Asian Studies. Scholars will be expected to commence on 16 May 2012, and to make a presentation on their work at the Singapore Graduate Forum on Southeast Asian Studies in July 2012. Applicants are invited to e-mail / facsimile / mail their application forms (CLICK HERE), a 2-page outline of their research proposal in English (this may be accompanied by a longer statement in a Southeast Asian language) to the address below by 15 November 2011. Arrangements should also be made by which at least two letters of reference, one of which is from your principal supervisor, are sent confidentially to the same address by the same deadline. 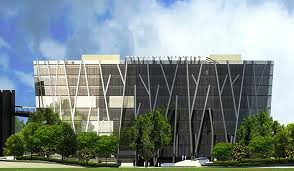 You can look forward to excellent library and internet computer facilities at NUS’ main library (official website), the library at the Institute of Southeast Asian Studies (ISEAS) (official website) and the Lee Kong Chian Reference Library at the National Library (official website) to facilitate your research for the dissertation. NUS’ main library has 2 million volumes covering all topics while ISEAS’ library has 200,000 on Southeast Asian topics, half of which are in Southeast Asian languages. Demikian kami sampaikan tentang Asian Graduate Student Fellowships, Asia Research Institute, National University of Singapore semoga informasi tentang Asian Graduate Student Fellowships, Asia Research Institute, National University of Singapore ini bermanfaat.